President Abdulla Yameen Abdul Gayoom has said that the Hanimaadhoo airport will be developed to modern standards early in the next term. Speaking at the inaugurate of the sewerage system in Hanimaadhoo, President Yameen said that while 3,000 beds of housing is developed in the northern atoll, a strong airport is also needed. And early in the next term, the Hanimaadhoo airport will be developed to facilitate the modern big planes and private jets. The President said that the people who would most benefit from these two developments are the people of Hanimaadhoo and with many industries being created due to tourism, it would benefit people of all ages. As resorts are being developed around Hanimaadhoo, the President said that Hanimaadhoo also have guesthouses and has the land to promote integrated tourism. President Yameen said that the water system will be installed on the island and the Hanimaadhoo road development project will be completed in September or October. 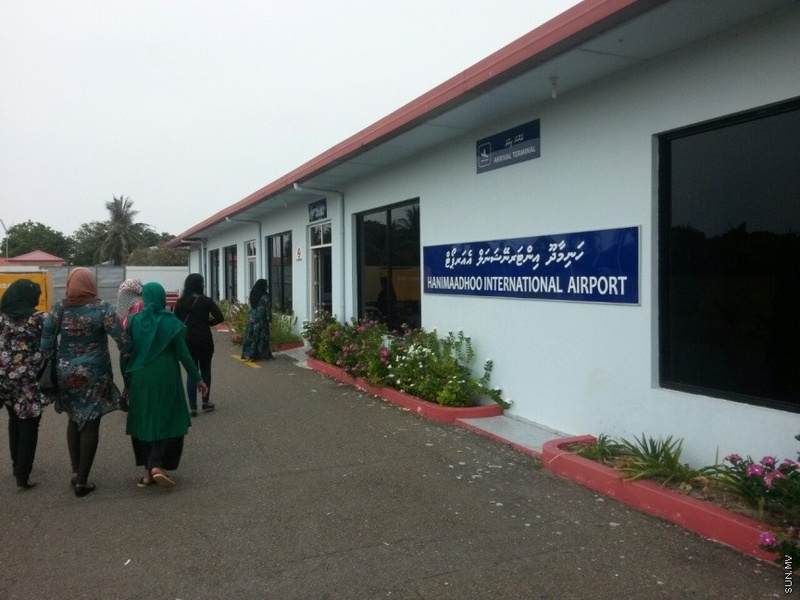 The current airport in Hanimaadhoo is an international airport and a second airport is being developed in Haa Alifu Kulhudhuffushi and another airport is being developed in the Haa Alifu Atoll.